An unguaranteed success might have put many people off from entrepreneurship, yet it has not been the case here in Singapore. It was reported that between 2005 and 2013, the number of startups in Singapore roses from 24,000 to 42,000, of which at least 5,200 are tech startups. Furthermore, the government has also pushed out various funding schemes to support local startups. The SPRING Startup SG Founder, Startup SG Tech and National Research Foundation’s (NRF) Early Stage Venture Fund (ESVF) are some of the examples. However, despite all the resources available to start your business, it is important that one continues to read and broaden his/her knowledge. Of course, many might turn to traditional news sites like the Wall Street Journal, Forbes or The Business Insider or more locally, The Business Times for business and trends insights. As much as these traditional platforms do provide us with contents that are ‘harder’ in nature, these contents are usually ‘harder in nature’. They may not use layman terms that strike a chord with its reader. Hence, I also make sure I expand my readings to other non-traditional sites. And recently, I encounter this site. 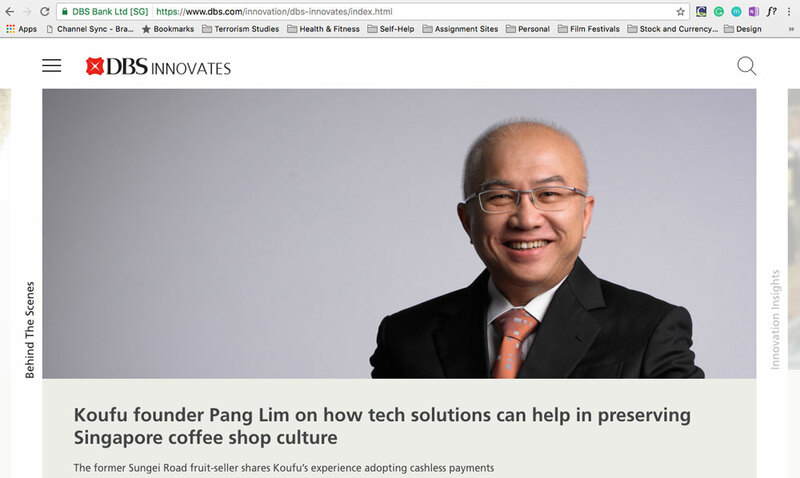 DBS Innovates is an initiative by DBS Bank. It is like a micro blog that is constantly updated with the latest banking innovations and insights. Of course, I ain’t a banker and neither am I interested in the banking industry. However, the site also provides readers with some motivations and ideas for business innovation. There are 4 tabs for the site, Innovation Insights; Making Banking Simpler, Faster, Smarter; Innovate For Good, and Behind The Scenes. Personally, I feel that articles under ‘Behind The Scenes’ could provide some motivation for entrepreneurs who are just starting out. There are real-life stories of entrepreneurs who’ve gone on to make a mark for themselves (Koufu’s Pang Lim) and as well as of a UX designer. In another article, DBSInnovates interviewed a hawker who has been selling ngoh hiang for the past 30 years. Mr. Ng Kok Hua seizes the up and coming trend of cashless payments and allows his customers to scan QR code via their PayLah! application for payment. These are the kinds of examples that are close to reality, which many of the other mainstream articles lack. This is definitely in line with the bank’s motto to ‘make banking joyful’. I definitely looked forward to more of such kinds of articles from the site in the near future.